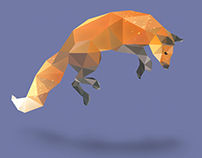 Diana's Low Polygon iOS Animal Stickers. Animated iOS hedgehog Sticker in action on iPhone 7. 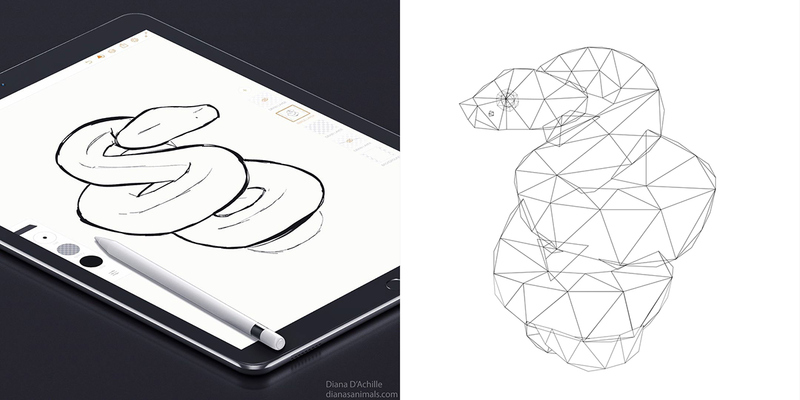 Left image: Eyelash Viper drawn on iPad Pro with Adobe Illustrator Draw (With Apple pencil) / Right Image: Eyelash Viper Triangular Mesh created in Adobe Illustrator. My Low Polygon Animal Series is devoted to the awareness, appreciation and education of animals across the world. We all know the generalities; elephants are large, sharks are slim, and porcupines are spiky. 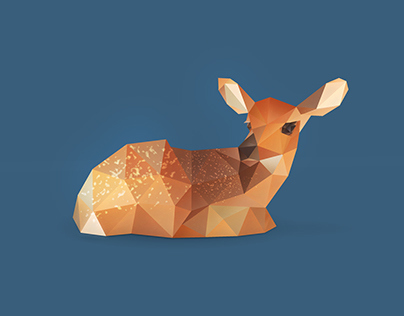 But apart from that, have you ever stopped to admire the shape or outline of your favorite critter? What I love about mixing technology with art is that it has no limits the possibilities are endless in Adobe's programs. My low polygon animals combine my love for animals, technology, and my passion for design. 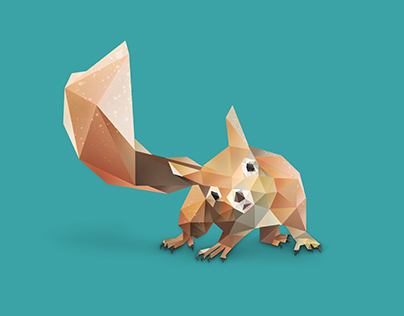 When my low polygon animals started to take on a personality of their own, I became hooked. In August 2015 Apple released iOS 10. 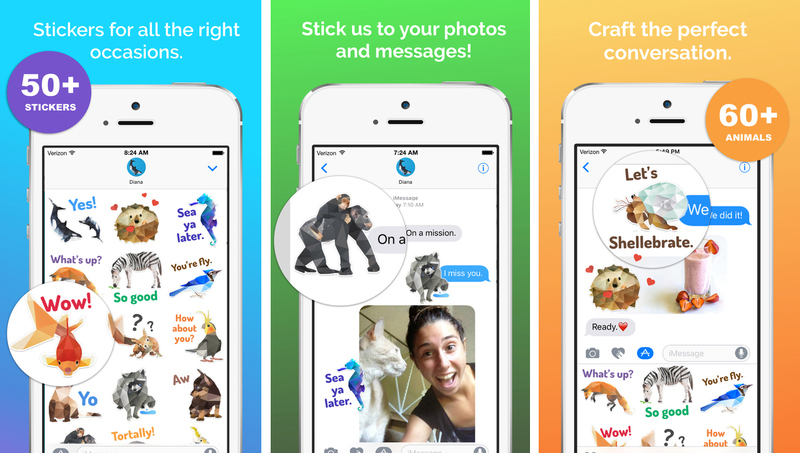 A great opportunity for developers and designers with little to no code experience to create their own iOS Stickers. 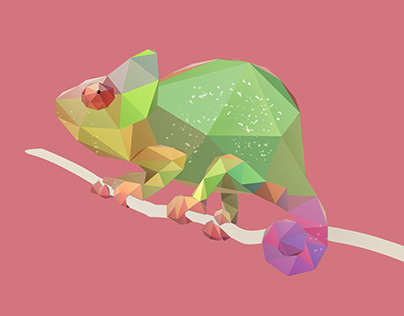 During the time of Apple's release I had about 40 animals completed. Just the right amount to start a side project that would allow my animals to get more exposure and learn something new. Check us out in the App Store at http://appsto.re/us/M-yYb. I was anxious to get started, but knew I would need to self teach myself new tools. I began by googling the "Start to end process an iOS Sticker application" would require. To my surprise I found that it would take little to no coding at all. 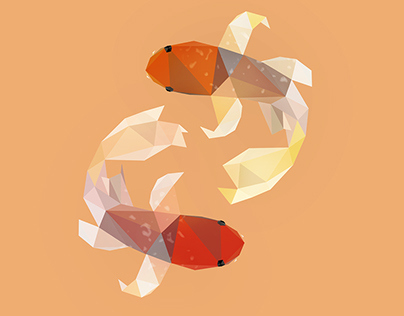 I began by reading Karen Lui's iOS Sticker Guide. She breaks down the process with pictures and steps to make it very easy to follow along. After reading the guide, I signed up for a developer's account and downloaded Xcode on my mac. After my sketch is complete I will then bring it into Adobe Illustrator to vector. 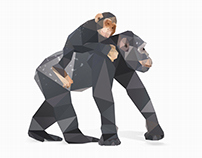 (Example 1, Example 2) It’s important to understand the anatomy of the animal during this step. Once the vector is complete, I’ll then bring it into Photoshop to color, add textures, and design minimal shadows under the animal. 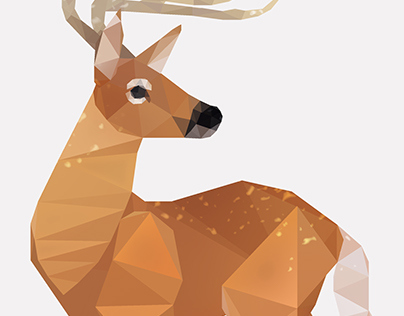 During this process, my goal is to keep the colors and shapes as simplistic as possible without losing the animal's realistic features. I am currently attending Rutgers University to pursue my masters in User Experience. I plan on continuing to work on my 400 Animals and would like to release another iOS Sticker Pack soon. This time using an iMessaging Framework. A little bit more complicated process, but I think we can get there! 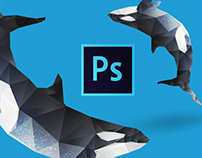 Thanks Adobe, I don't think my animals and I could have made it here without you. 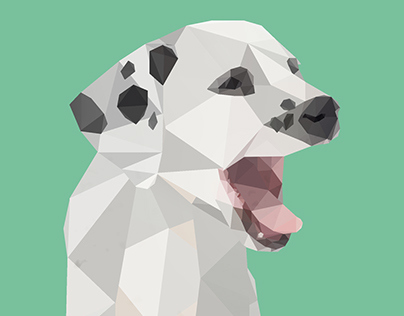 Feel free to follow us on our journey as we expand our collection to 400 animals. 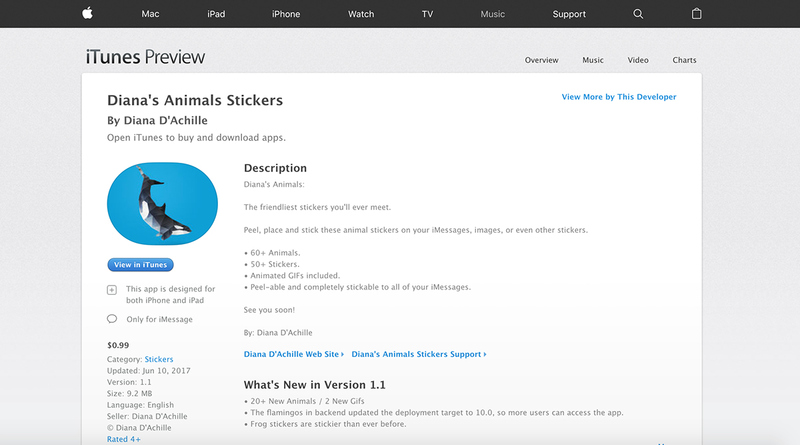 Have a question about the iOS Stickers? Or just would like to say hi? 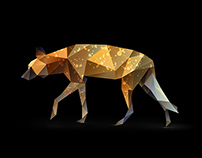 Diana's Low Polygon Animal Series.